Looking for a fast used car for under 10K? We've thoroughly researched the US used car market and came up with a few top choices. We only included cars that are fairly easy to find. 2003 Acura RSX Type S.
The RSX is a small two-door front-wheel drive hatchback that comes with an excellent K20 2.0L 4-cylinder i-VTEC engine. 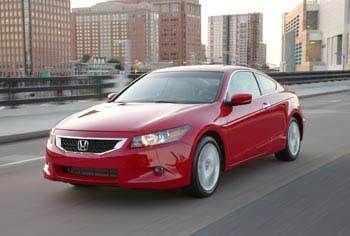 The base model offers 160 horsepower; the Type-S is tuned to produce 200 hp. The stock RSX is quick and the manual gearbox is fun to shift. The 0 to 60 mph time is 6.9 sec. 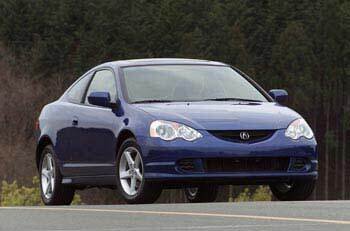 for the base model and 6.2 seconds for the Type-S. Acura RSX is reliable and good on gas. You won't have trouble finding the G35 for this price. It comes as a rear-wheel drive or all-wheel drive (G35x). The G handles very well and is an excellent daily driver. 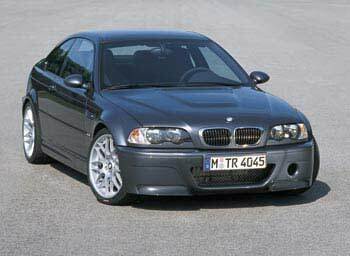 The 3.5L V6 is a very good engine that can last long with proper maintenance. Is it fast? 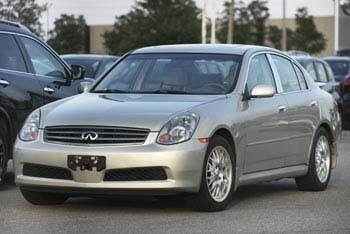 The Road and Track magazine reports the 2005 Infiniti G35x reaching 0 to 60 mph in 5.9 seconds. Oh yes, the Infiniti is very reliable too. The 350Z is a small rear-wheel drive two-seater. It comes with the 3.5L V6 VQ engine and an automatic or manual transmission. It's also available as a convertible. The Z cabin is plain and cramped and the car feels a bit front-heavy on the road, but it's fast! Car and Driver reports the 350Z accelerating from 0 to 60 in 5.4 seconds. 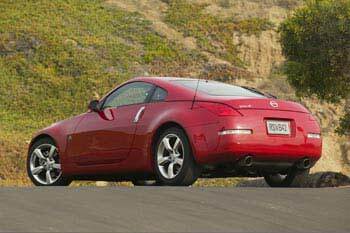 Another plus, the 350Z is rated above average for reliability. Yes, you can find the Mark IV GTI for under $10K and it's crazy fun to drive. The Mark IV Volkswagen GTI comes with the 1.8L turbo or 2.8L VR6 engine. The 0 to 60 times is just over 7 seconds for either one. The 2006 redesign brought the faster 2.0L-turbo FSI engine. 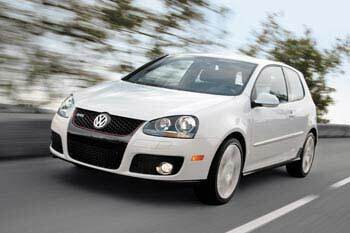 The 2006 GTI flies 0 to 60 mph in 6.5 seconds. Reliability? That's something Volkswagen needs to improve. For now it's average at best. The C4 is the most affordable Corvette you can buy. The fourth-generation Corvette comes as a two-door rear-wheel drive coupe or convertible. Even though it might not be the best Corvette ever, it looks cool and it's fast. 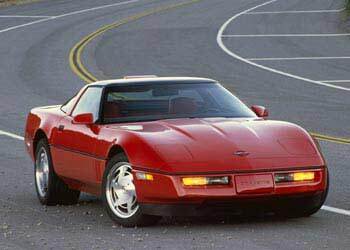 The 1990 Corvette with the L98 motor goes from 0 to 60 mph in 5.7 seconds. The 1995 and 1996 Corvettes are the most desirable. If you find one that was kept in a garage, it's even better. The C5 is still rare, but a few are available for this price. 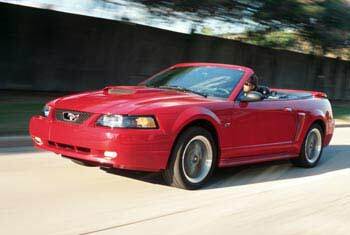 With its natural unrefined handling and raw power the Mustang is a true American car. The 0 to 60 time for the GT (V8) is around 6 seconds. The Mustang has rear-wheel drive with a solid axle in the back. If you like shifting gears, it's not too difficult to find one with a manual transmission. The reliability is not perfect but not too bad. 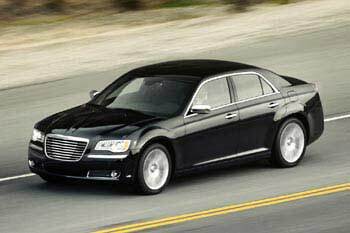 The Chrysler 300C comes with the crazy 340-hp 5.7L Hemi V8, the same engine as in the Ram pickup trucks. Motor Trend reports the Chrysler 300C 0 to 60 mph time at 5.8 seconds. Chrysler 300C rides on the rear-wheel drive platform that shares many components with the Mercedes-Benz E-class. An optional all-wheel drive is available. All in all, for 10 grand, it's a nice, big comfortable car and it's fast. The 6.1-liter SRT8 is hard to find, but it will get you 0 to 60 in 4.9 seconds! The Charger is a serious car for a reasonable price. Riding on the same rear-wheel drive platform as the 300C, the Charger is fast and fun to drive. The V8-powered R/T delivers 395 lb-ft of torque and will get you from 0 to 60 in 5 seconds. Consumer Reports rates highly the Charger driving experience and overall owner satisfaction. 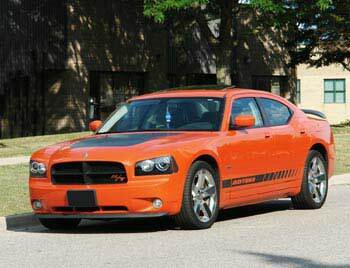 The SRT8 models are rare, but even the 2008 Charger SRT8 will fly to 50 mph in 4.8 seconds. The V6 Accord is not only reliable, it's also fast. The 271-hp 3.5-liter V6 will get you from 0 to 60 mph in 5.4 seconds. The Accord handles like a sports sedan, yet it's very comfortable and roomy. You also can get a two-door coupe. Honda engines are built to last and with good care can run for well over 200K. The lethal combination of V6 and a manual transmission is rare, but worth searching for. After 4,649 votes in our poll, the winner is clear. The Bimmer picked up 1,304 of your votes beating the second-place Mazda RX-8 by a large margin. The ultimate driving machine is expensive to keep, but a very few cars can beat the driving experience. Chevrolet Camaro Z28, SS / Pontiac Firebird V8 1993-2002 - The sinister-looking 4-th generation Camaro and its twin Pontiac Firebird are available in reasonable numbers within this price range. Both are riding on the rear-wheel drive platform. Either is available in two-door coupe or convertible body styles. Either came with a V6 or V8, but if you want a fast car, the LT1/LS1 V8 is what you need. The 1998-2000 V8 Pontiac Firebird 0 to 60 time is 5.7 seconds. Lexus GS 1998-2004 - This beauty can be easily found for less than 10K in the US. Yes, parts and maintenance could be expensive, but it's a gorgeous luxury car and it's fast. The 0 to 60 time for the GS 430 is just under 6 seconds. The GS has rear-wheel drive and comes with the 3.0L inline-6 (GS 300) or 4.3L V8 (GS 430). The 3.0L inline-6 is the same engine as in the Toyota Supra. Lexus is the most reliable brand, so you should have too many problems with it. Chevrolet Impala SS 2006-2008 – Is the Impala SS boring? Maybe. Is it fast? Hell yes! The 5.3L V8 delivers 303 horsepower, which helps the Impala SS reach 60 mph in 5.6 seconds. Subaru Impreza WRX – sleek rally car, but it's hard to find one in good shape for this price. Chevrolet Cobalt SS coupe – small cool-looking coupe. The supercharged 2005-2007 Cobalt SS coupe is quick: 0 to 60 in 5.9 seconds. The 2008-plus turbocharged 2.0L SS coupe is even better: 5.5 seconds. Even the 2.4L naturally-aspirated Cobalt SS is reasonably fast: 0 to 60 mph in 7.1 seconds. Volvo S80 T6 – this twin-turbo luxury is quite fast: Consumer Reports lists the 0 to 60 time at 6.9 seconds. The Volvo S80 T6 is also very practical and fairly reliable. It's available for sale in the US for under 10K in reasonable numbers. Toyota Celica GT-S – although it's not super fast (0 to 60 in 7.2 seconds) the 180-hp Celica GT-S looks pretty radical and is fun to drive. It's also reliable, but very few GT-S models are available for sale. There are plenty of the Celica GT models, but it has the basic 1.8L engine, same as in the Corolla. Mitsubishi Eclipse V6 – a good car; you can even find it as a convertible, but even with the V6 it's not very fast: 0 to 60 mph in 7.2 seconds. Mazda RX-8 – fun to drive, quite fast with a manual transmission, easy to find for this price. Why is it not on the list? The rotary engine could be troublesome at high mileage. Mazdaspeed6 – it's fast alright. With the 2.3L turbo direct-injected engine and standard AWD, the Speed6 makes 0 to 60 in 5.9 seconds. We haven't included it in this list because it's just extremely rare. Mercedes-Benz V8 E-class, C-class, SLK – several V8 Mercedes-Benz models are available for under $10,000, including the E500, S500, CLK500 and even E55 AMG. They are fast too. The 2003 E500 does 0 to 60 in 5.9 seconds. At this age, however, parts and service could be pricey. Subaru Legacy GT 2005-2009 sedan – those are fairly rare, but it's a premium sharp AWD sedan that holds the road extremely well. The 0 to 60 mph time is about 6 seconds. Of course, with an all-wheel drive, the Legacy is hard on gas and the turbocharged engine requires premium gasoline. Toyota Supra – even the Mark-III Supra from the late 80's still looks very cool, but we found a very few of them for sale for under 10K. Honda Civic Si – they are actually a rare find for under 10K and the stock Si is not that fast.